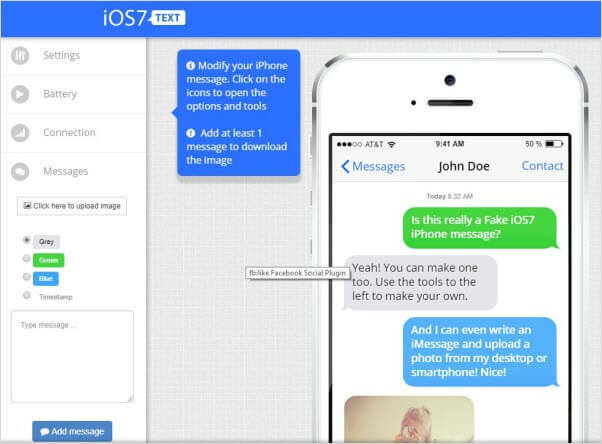 Ever thought of creating a fake iMessage but then stopped because you did not know whether it was possible? Maybe you wanted to escape a boring situation or prank your buddies. This article will make what you wanted to do with the fake iMessage possible. Advanced Tip: How to Delete iMessage Permanently On iOS 12/11/10/9/8/7? This fake iMessage generator lets you choose the message window settings, choose the connection settings, add a message (including pictures), and even choose the battery percentage. All the options are available in the left-hand column of the iOS 7 Text window. 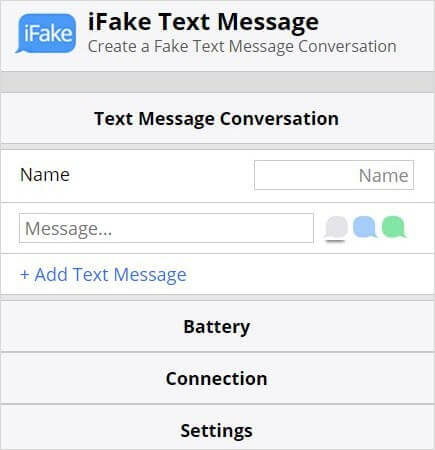 The fake iMessages it generates can be used for most of iOS versions, including iOS 12/iOS 11/iOS 10/iOS 9/iOS 8/iOS 7. This fake iMessage conversation generator will let you customize the message window by adding a name, battery settings, and connection settings. The user is allowed to add a message and customize its appearance. After simulating the conversation, a user can generate its image. This fake iMessage generator supports the latest iOS 12 elements. The generator options are available in the left-hand column. A user gets to choose the settings available on the chat screen such as the contact name, the clock time, the words which appear on the send button and more. 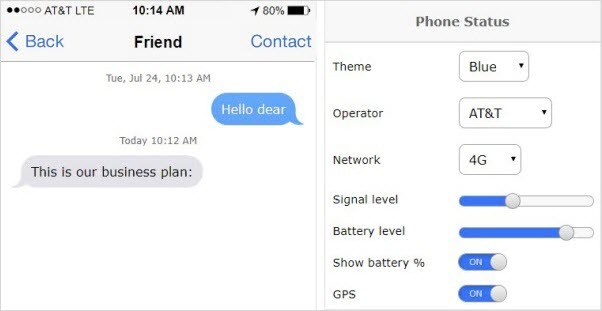 You can also change the battery percentage and connection. To add a message, you need to click Message, type your message, and an emoji or even upload a picture and the tap Add Message. 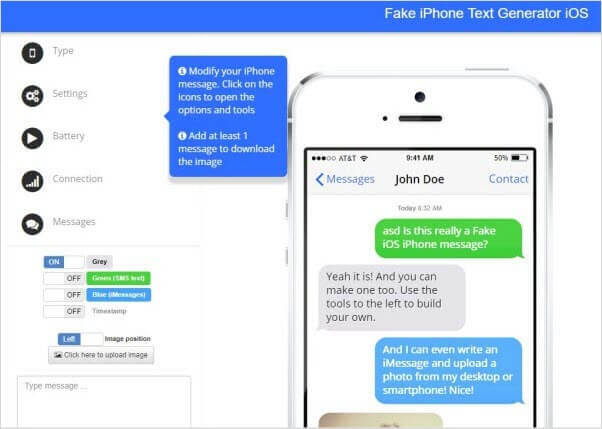 This fake iMessage generator will let you create fake conversations which resemble real iMessage chats. It lets you choose the iPhone settings including the battery options, the connection, and the settings available in the chat window. To add a message, you just need to click Messages at the top-right of the page. After you are through with simulating your fake iMessage chat, you get to download its snapshot. It can bulk-delete iMessage data. You can make iMessage data irrecoverable by deleting it permanently. 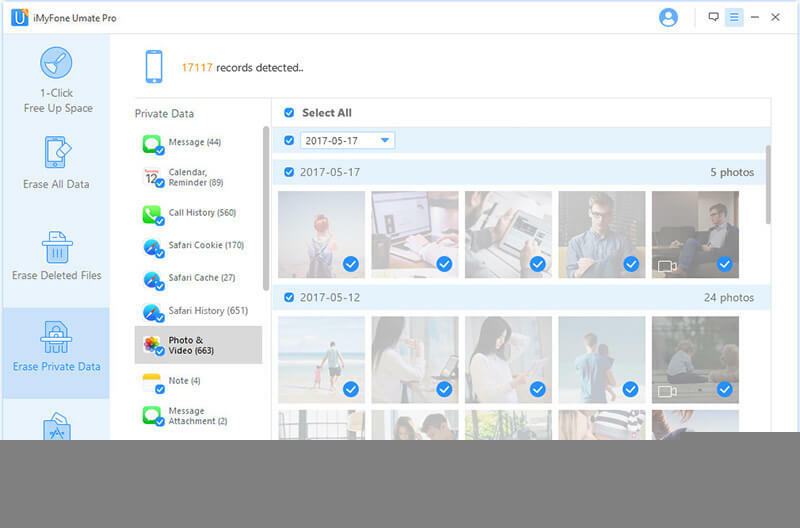 You can scan iMessage data deleted using conventional methods and erase it completely. You get to preview your data before erasing it. 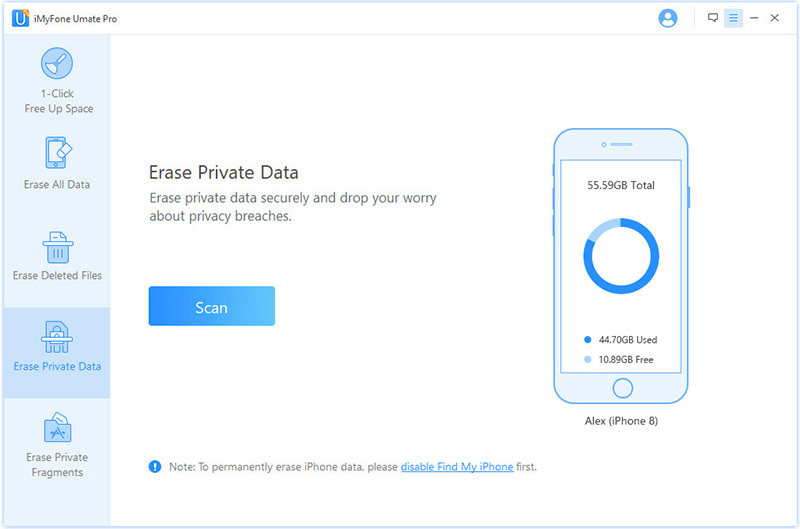 It allows you to wipe all data types from your iOS device without any chance of recovery (Learn More>). Step 1: Connect your device to the computer. Trust the computer if it is the first time connecting to it. Launch iMyFone Umate Pro. 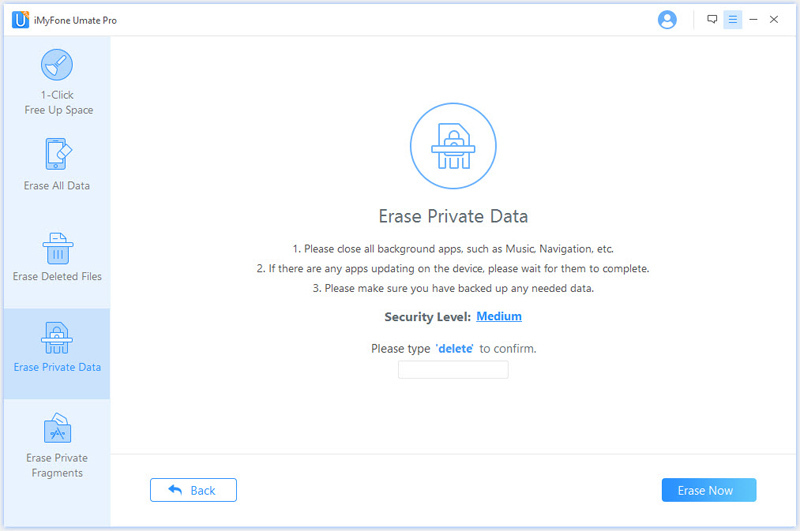 Step 2: Tap Erase Private Data and then tap Scan. Wait as your device is scanned. Step 3: Preview the scanned data and select the iMessage chats you wish to delete. Tap Erase Now. A warning window will appear. Step 4: Choose the security level and then type “delete” to confirm. Tap Erase Now again to initiate deleting. Keep your device connected to the computer.